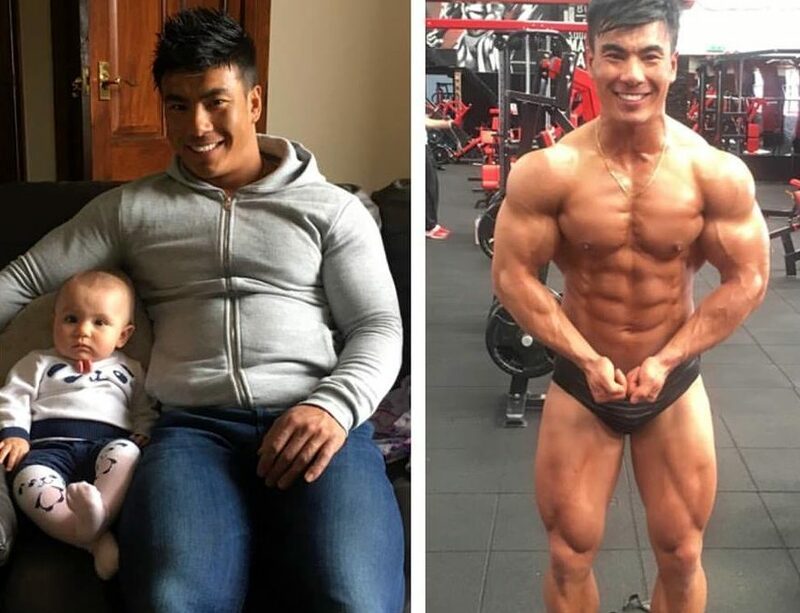 We see so many of you guys compete on a regular basis, we spoke with athlete and prep coach Tony Pang on the bodybuilding truths. Social media pants a particular picture of life in general, therefore we wanted to share the reality with you. WHEN DID YOU FIRST HIT THE STAGE TONY? ‘So, I competed in my first show in 2009, I was totally new to the whole set up of stepping on stage and to be honest I was a novice at this time when it came to diet or even training properly with a structure and purpose. Now 7 years on and 12 shows under my belt from qualifiers to European and even world shows I can now look back and see some light on my own personal experiences. The good, the bad and the ugly’. Here at Prepped & Packed we feel it’s important to understand every aspect of what is an amazing sport, a sport that truly inspires thousands if not millions of people to eat, move and be healthy. A huge sacrifice and pull on any athletes lifestyle is time, its an excuse many people also use when striving for goals in general.’The time that I put into cardio and training going back to when I looked my absolute best was huge. Training consisted of an hour of cardio in the morning, 1-2hrs of weights in the afternoon and then another 1hr of cardio later on at night. This results in 4hrs of training a day and then you will need to add in travel time to and from the gym which for me was another 1.5hrs total in the day. That’s now a total of 5.5hrs a day and at that point 7 days a week that I put a side just to make sure that I was going to look my best. As a result of this type of sacrifice it directly roles into further sacrifices, ‘this lead me to sacrificing large amounts of sleep too, I was getting up early to get cardio done before going to work and possibly not going to bed early enough to make sure that I had got in my cardio at night. Training and cardio wise I did love and enjoy most of it to be honest and it only really got a real struggle when the kcal started to get pretty low which for me at my lowest was 1800kcal for about 2-3 weeks and that was tapered down over a good 9 months period from 5000 kcal starting point’. When looking at training and time Tony went on to mention the sacrifices made when it comes to relationships, ‘Time with my friends and family was at an all time low as you can imagine. This of course does put additional stress onto your everyday life unless you are conscious and carefully manage the situation. My daughter was born just three weeks out of comp, this allowed me to fully focus on me prior to her arrival, however now times have changed. Values and priorities differ, now I wouldn’t want to sacrifice this time missing her growing up.’ We must add this article isn’t to put a negative spin on competing, it’s purely to open the door on the reality, speaking with an experienced athlete having gone through the process multiple times. For me when dieting for a show, my foods are pretty similar all year round and I keep the same amount of meals and same timings of meals as this fits my lifestyle. The only thing I really do is alter is portion sizing up when I’m bulking, whilst I reduce them down when I’m prepping so I don’t find the dieting and prepping all that hard. My main struggle is I like to enjoy eating out at weekend with my family and even though I eat pretty clean even at the weekend I really do need to watch my portions and food choice,s and so eating out and social events can be tough at times and making a sacrifice for that can become apparent.’ There are always going to be events, birthdays and social occasions, this is life, however we personally believe its about building a long term positive relationship between, life, your goals and your health. ‘The stress of prepping can make or break relationships and it is a selfish thing that we do, having someone who understands you and is willing to put up with your highs and lows can be challenging’. When driven towards any goals sacrifices are made, we feel it’s important to map this out as much a possible before hand. It’s not always possible unit they hit you in the face, however it’s always beneficial to be one step ahead. ‘My last big sacrifice would be my work and the service that I can provide clients when I’m at the lowest point. Going to work becomes and issue, even talking becomes a task and a issue to deal with believe it or not. I usually do have to taper down he amount of work that I am able to do when I’m prepping for a show as I just don’t have the energy or time to facilitate both needs at the same time which does mean taking a hit on your income and for me competing isn’t cheap either, between buying all your food consistently, your supplements, tan, posing trunks, accommodation, travel, entry fees and any other things that you might do on top of that too like posing classes etc. It all adds up and for most this will only ever be a hobby. Your placing doesn’t necessarily dictate how your looking as this is a subjective sport and so you bring your best package and hope that is what the judges will be rewarding on the day. Sometimes this can play with people’s heads and can make them feel as though all their efforts weren’t worth it which for me getting yourself in the best shape of your life was the goal and getting a trophy is a bonus.’ These lasting words of Tony are huge, we set out for a goal, the goals is to achieve this, other peoples opinions aren’t always within this goals. We all know it’s impossible to control other judgments, opinions and actions. We can influence and opinions often to match up, yet it doesn’t always correlate. Out of the whole process, I do actually find the training and the dieting side of competing pretty easy. I’ve done it a million times so I know my body inside out which is why I do recommend going through a comp prep. Simply because you will learn a lot about your body but also about your mindset too. It will put a lot of things into perspective and really show you how to overcome challenges in which you will mentally become stronger as a person. For me the mind games is the most challenging part of comp prep. You are constantly analysing your physique to check whether you look leaner, look bigger, feel full, look flat etc This can lead to a lot of mental stress between analysing your progress from scale weight, body fat readings, pictures etc and can drive you up the wall when things aren’t going your way even though you feel as though your doing everything perfect. To not feeling great and seeing a result that gives you a big lift in confidence, allows you to power through and refocus for next few days until your next check in. The mind games continue with social media, a large quantity of people are putting a brave face on when it comes to social media. People tend to provide their friends, and followers with the happy, life couldn’t be better content. For example the epic gym selfie after the best workout ever with the right lighting your looking stage ready which they forget to tell you that was the only good workout they had that week. Friends and family will tell you that you look great even if you don’t, and you really need the right support network around you to stay focused and on track. Yes, this can can be selfish but you still need the right team around you to make the magic happen from your training partner taking you through those dreaded sessions, sports therapist looking after your aches and pains, friends and family to help keep you mentally stable and be training in the right environment to really allow you to thrive and grow into the best version of you possible. From a health perspective getting truly shredded to the bone is not healthy and it doesn’t matter how you want to spin it. It takes its toll on your body but also your mind. You will be tired and fatigued and a bit run down, mentally drained with being on a structured regime plan for so long. For most people 12 weeks is just not enough time to get yourself in contest shape unless you keep things tight when your not competing. For most 16-20 weeks is more realistic and allows a bit of flexibility with life and getting ill and any other events that life likes to throw at you. So don’t leave things to the last minute and then get on stage a few weeks short of where you should be claim that it’s water. Trust me you can dry out fat. You just need to diet longer and give yourself more time. The more time you give yourself the more muscle you will retain. The less overall impact in your health as it means you might only really be pushing your limits for 6-8 weeks out of 20 weeks. I have worked with so many competitors now that I lnow how much of a mind field all this can be and especially when your new to this your first experience can dictate whether you want to ever do this again. As a coach I have held back from pushing clients to 100% knowing that they were at a tipping point or either going the extra mile and calling it a day and deciding to pull out which I have seen quite a lot of people do. Who prep for weeks on end just to pull out 3-4 weeks out as the pressure builds of trying to look amazing and mental stress takes its toll with social media and expectations etc. I know so many people who are scared to fail so they won’t even let me know what shows they are prepping for in case they fail and need to pull out which shows what mindset they have before they even begin. The funny thing is this all might sound negative but on a whole I know the ins and out from competing and getting on stage for me is such an adrenaline rush. You look the best you have ever looked, you get to capture that moment in time with photo-shoot a and work with sponsors, you get to inspire others to chase their dreams. I love it. I love the way I look, I love prepping, I love setting myself a challenge and then smashing it. Yes it is hard and it’s tough at times but that is why not everyone can do it. Competing is certainly not for everyone but if your training hard and eating well and are seeing your physique change on a month to month basis and would like a challenge. I say this to everyone if this is your thing and life then you get on stage at least once in your life to show yourself what you are capable of. The whole experience can be an amazing one that you will remember for the rest of your life. You can look back in awe for how you looked when your mind to it. I would compete until I can do it anymore and for me I’m at a stage in my life for where I can appreciate the journey and the process and the outcome of my physique by the end of it and not be over consumed about placing and take it to heart. I train cause I love to train. I eat well because it makes me feel great. I do this because it is my passion in life. This new found passion is now my career and I am ver grateful to wake up everyday helping others achieve their dreams and that feeling is priceless.